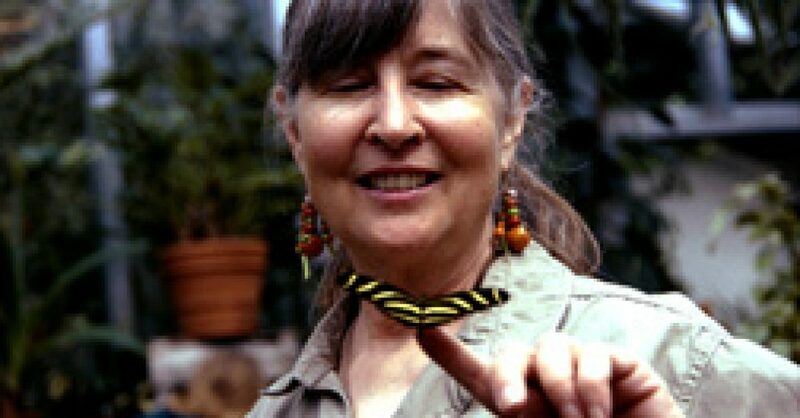 Sign up for Mary’s new January memoir workshops! I am planning a series of classes designed to get you writing about your life in a simple, easily done format. Love, Life, and What I Wore: Getting My Life Out of the Closet will focus on what you remember that you or others in your life wore and what it meant to you. Believe me, we will find stories in your life that you forgot you had. 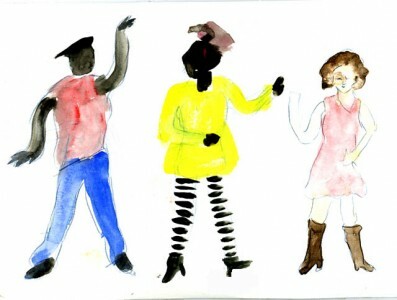 And we’ll even do simple watercolor illustrations! 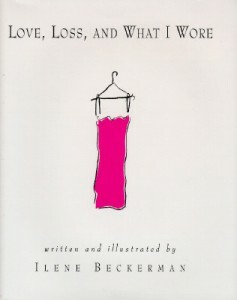 I’m basing this workshop on a book I have loved for years of a similar title: Love, Loss, and What I Wore, a little hardcover book by Ilene Beckerman. It would be a worthwhile purchase as a textbook, although not necessary. You can buy this very cheaply on half.com or you can read the whole book for free on Google. And here’s the good part: you don’t have to do the whole workshop series. You can come to one, any or all the classes. Although we will build a memoir from class to class, you can get started at any of them. My new studio can handle quite a few of us comfortably, but if classes go over ten people, I may add an afternoon class as well. While you could do this alone, you will find motivation, inspiration and fun in company. Times: Wednesday evenings from 7:00 to 9:00 p.m. January 6, 13, 20, and 27. Cost: $20 per class. To assure your place for the entire workshop, please pay me in advance ($80 for 4 classes); otherwise, just pay me for one class ($20) when you arrive (RSVP me first, though). You bring your favorite pen and pad, and I will supply everything else, from watercolors to paper to brushes, and even light refreshments. Contact me for more information or to sign up. I’ll have a sign-up list at my Open House if there is space left.